The examples below show some of the projects we have funded. Click on the image for a more detailed description of the project, what it achieved and how it met our funding criteria. If you are unsure if your project is eligible for funding please contact us. The bells at this Grade I listed medieval church date back as far as the 1600s and had not been rung properly for 30 years due to their poor condition. 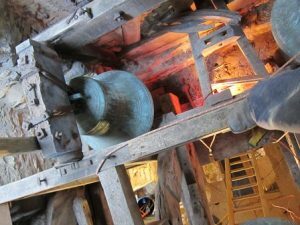 SUEZ Communities Trust funding contributed towards the costs for a foundry to remove and restore the five bells before reinstalling them in new bells frames. At the same time a new 6th bell was added. The project was led by the church with great support from the local community. Local volunteers undertook some of the preparatory work themselves to lower the overall cost of the project. The church is open to the public every day. The project helped to restore an historic Grade I listed place of religious worship and met the criteria for Historic Buildings. This project had long been a priority after the need for a new skate park was identified through a local play strategy consultation. The consultation found that the nearest skate facility was too far away for young people living in this area. After assessing a number of potential sites and discussing the proposal with local people a local authority owned park was identified as being the most suitable location. 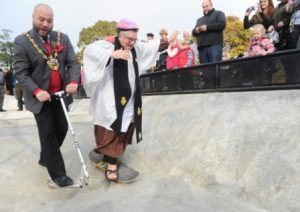 The council then worked with local partners and a contractor to create an inclusive skate facility focused on 10-19 year olds and suitable for skateboards, scooters, BMXs, roller skates etc. SUEZ Communities Trust co-funded the project alongside other funding bodies. The project also attracted section 106 funding. The skate park is open to all and met the criteria for Public Amenities. 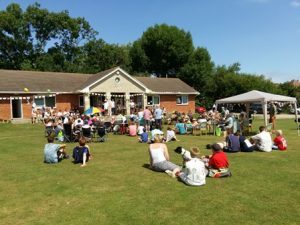 The Cricket Club was established in the 1920s, has 300 members and a clubhouse which is used regularly by the community for a range of activities and events. The club is growing, has a development plan and has ambitions to introduce girls/ladies cricket. One of the club’s main priorities was to improve its playing surface. SUEZ Communities Trust funding was awarded to purchase a new 3ft roller, outfield mower and wicket mower. Grounds maintenance is carried out almost entirely by volunteers so the equipment has been of great assistance. Funding also paid for the installation of decking across the front of the pavilion to give a better area for spectators and players to sit and enjoy the game. Natterjack Toads were given a helping hand with funding to help carry out important habitat improvement work. A small, coastal population of Toads was suffering from loss of habitat as their ponds were becoming overgrown and starting to dry out. The funding from SUEZ Communities Trust enabled a leading conservation charity to restore existing breeding ponds and excavate new ones – work which helps ensure the survival of an endangered species. All necessary consents were in place at the time the application was made which meant the work could be completed without delay and at a time which caused least disruption. The project helped to protect this priority species and met the criteria for Biodiversity. 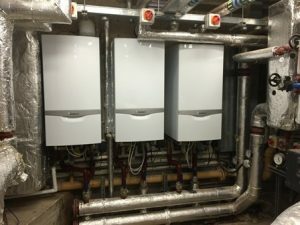 The heating system in a popular community centre had failed after many years of use. The system was old and the parts had become obsolete so repair was not an option. The local community had been fundraising for the project through a series of local fundraising events. Local businesses had also made donations. SUEZ Communities Trust contributed the remaining funding so that the work could be completed in time for the winter. This helped to avoid further disruption/cancellations. The community centre is available for hire and is used regularly by a wide range of groups focussed primarily focussed on leisure and recreation. The community centre met the criteria for Public Amenities. 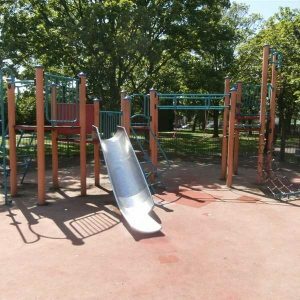 The existing equipment was outdated and a consultation with the local community identified the need for new dog-free play opportunities with a focus on younger children. SUEZ Communities Trust funded 3 new pieces of play equipment and fencing. The local community fundraised to pay for the safety surfacing. The project was instigated by the ‘friends of’ group and led by the local council – which provided the Contributing Third Party payment. The project helped to improve a public park and met the criteria for Public Amenity. The community studio provides open-access dance and exercise classes as well as those specifically tailored for young people with learning disabilities. The small, London-based studio is run by a charity and suffers from high wear and tear because it is so well used by local people. 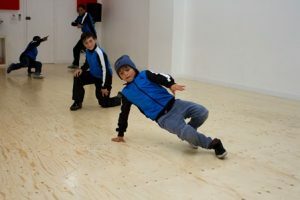 SUEZ Communities Trust funded the refurbishment of the studio including new acoustic ceiling, sliding partitions, dance floor and the installation of new wall mirrors. The studio was reopened with an open day launching the improved facilities. The project helped to improve a well used public facility and met the criteria for Public Amenities. The windows, dating back to the mid-19th Century, are located in a Grade I listed church and were suffering from damage and deterioration. 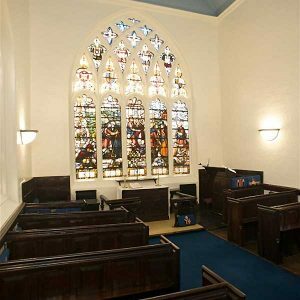 SUEZ Communities Trust funded a specialist contractor to sensitively restore the glass and lead-work and make repairs to the stonework of the nave windows. The project was led by the church council with support from the local diocese. A local individual donated the Contributing Third Party payment. The lowland heathland habitat was in poor condition due to the heathland habitat encroachment of scrub which was out-competing heathland species. 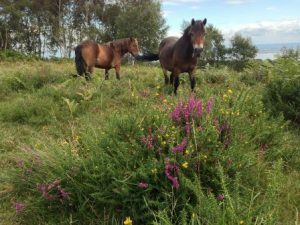 SUEZ Communities Trust funded a conservation organisation to remove scrub and sow heather seed to encourage heathland plant species to recolonize. A small amount of the funding was spent on an interpretation board to explain the importance of the habitat to visitors. The project was led by a conservation organisation which provided the Contributing Third Party payment from its own reserves. 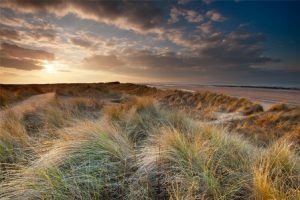 The project helped to restore a natural terrestrial habitat on the List of Priority Species in England and Wales and met the criteria for Biodiversity.